Supplies: Cutting mat, white foamcore, ruler, exacto knife, toothpicks, paintbrushes, pencil, eraser, black marker and pen, paint, paintbrushes. 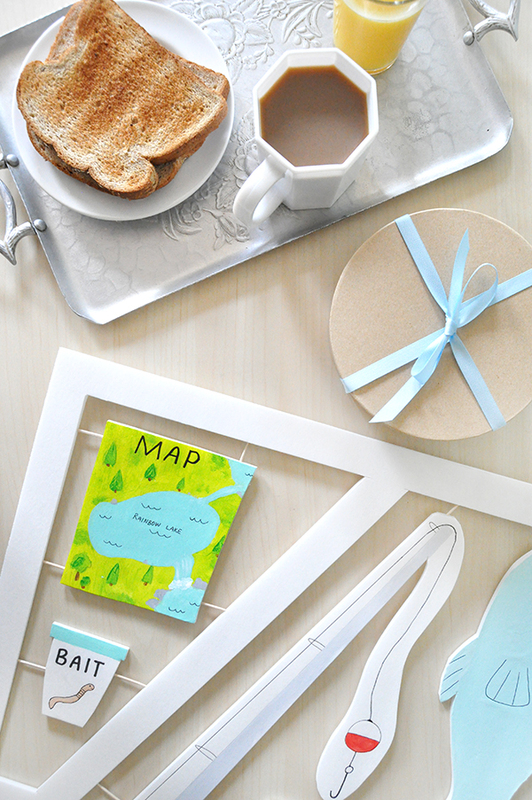 Step 1: On the sheet of white foam core, draw a frame (about 1 1/2″) around the outside. 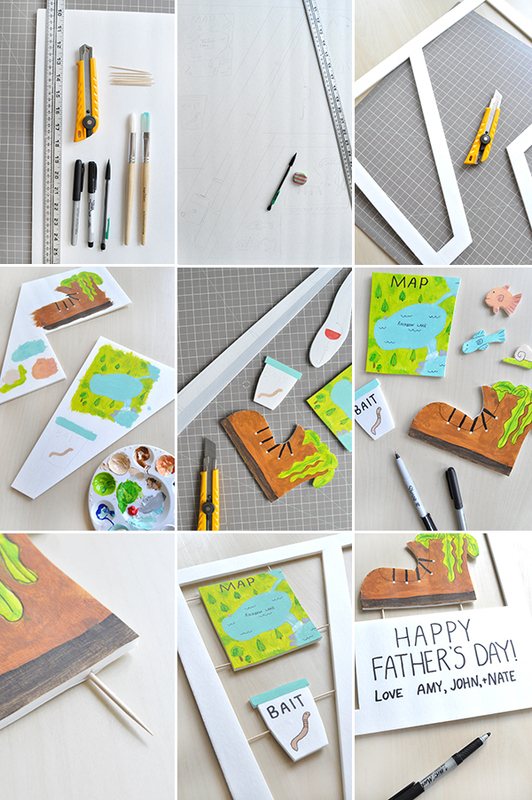 Draw your dad accessories in the desired theme within this frame. Keep in mind that you’ll be cutting them out and using the toothpicks to put them back in, so draw in additional 1 1/2″ framing if necessary. 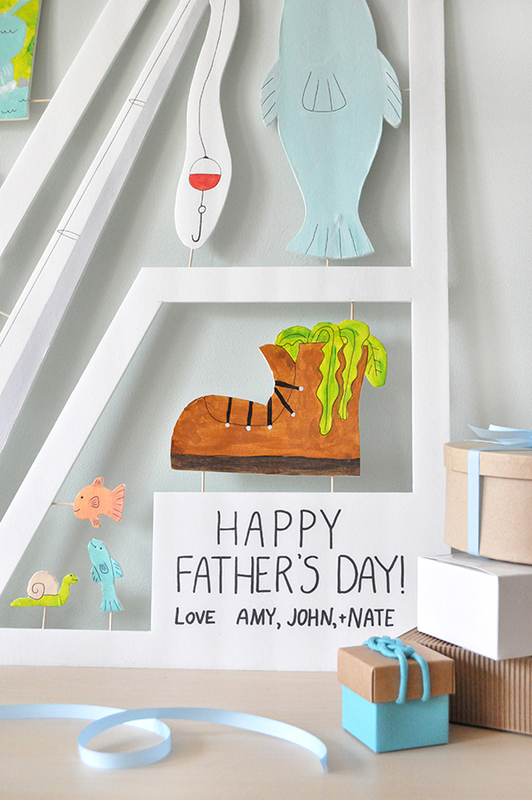 Leave a rectangular section in one of the corners to write a father’s day message later. Step 2: On the cutting mat, use the exacto knife and ruler to cut out the frame. Step 3: Paint in your drawings. Since you’ll be cutting them out later, you don’t need to worry about painting within the exterior lines. Let dry. 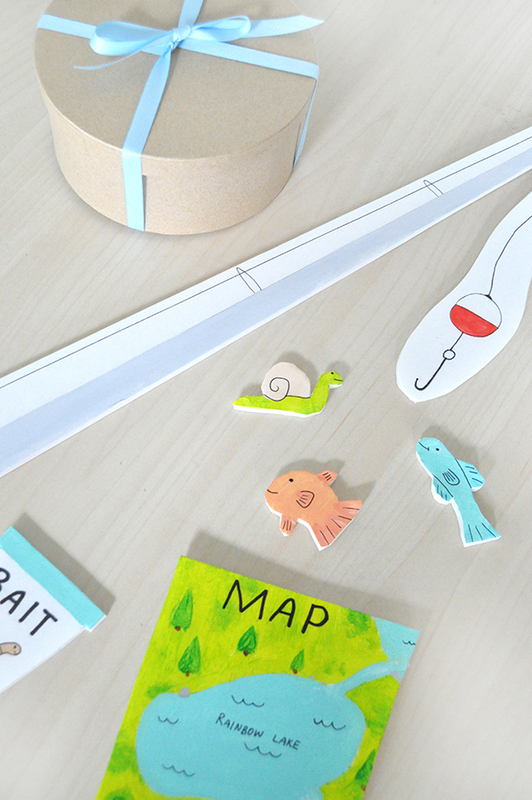 Step 4: Cut out your shapes. Step 5: Use a black marker and pen to draw in the smaller details of your drawing. 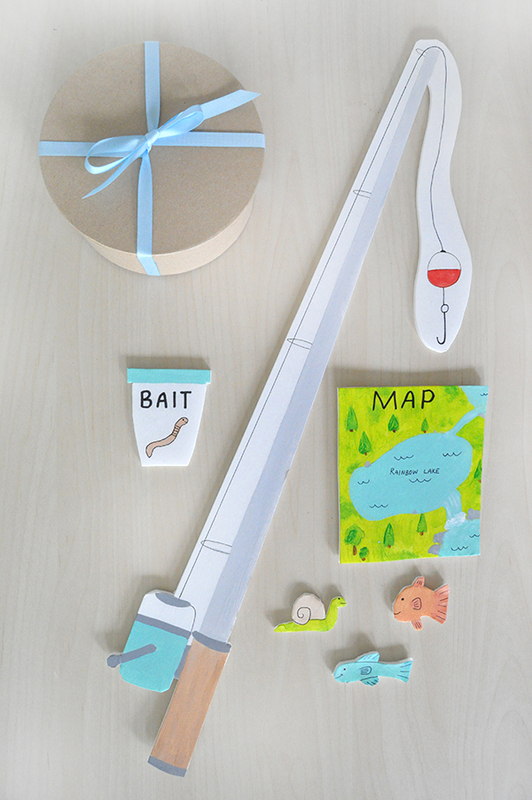 Step 6: Lay out the props within the frame. Carefully pierce toothpicks into the edges of the props as shown below. Step 7: Pierce the other end of the toothpicks into the frame. Since the foamcore is so light, you won’t need many toothpicks to support the props. Step 8: Write a father’s day message in the spot you left in the frame. 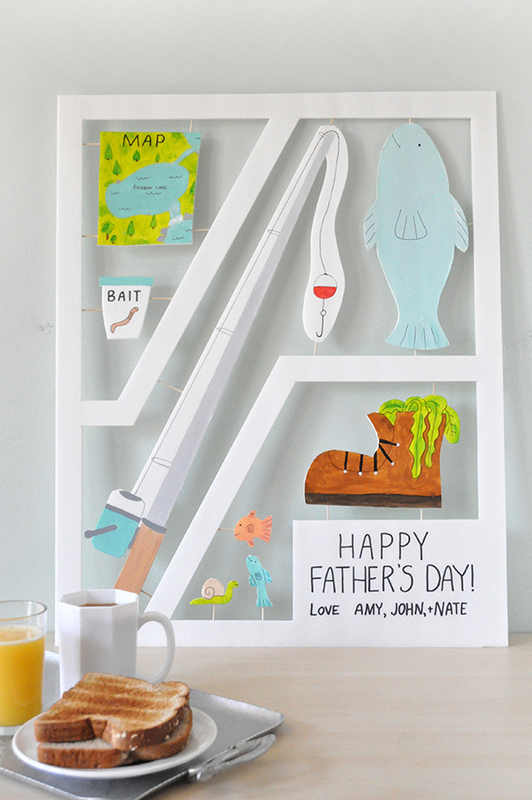 Dads are hard to shop for, but you nailed it! I will try this soon. A giant idea! I love it.. I really, really love this idea! So brilliant and something so out-of-the-box! Awesome!